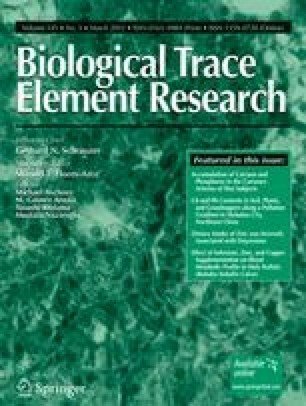 Due to increasing applications of lanthanides (Ln) in industry and daily life, numerous studies confirmed that Ln exposure may result in organ damages in mice and rats, while very few studies focused on several organs damages simultaneously. In order to compare the toxicity of Ln on organs, mice were exposed to LaCl3, CeCl3, and NdCl3 of a dose of 20 mg/kg body weight for consecutive 60 days, respectively, then histopathological changes of liver, kidney, and heart, and their function were investigated. The results showed that long-term exposure to Ln caused cell necrosis and basophilia of liver, ambiguity of renal tubule architecture, congestion of blood vessel and capillary of kidney, and heart hemorrhage. The histopathological changes of liver, kidney, and heart in mice caused by Ce3+ was most severe; the effect by Nd3+ was slighter than Ce3+ but more severe than La3+. The assay of serum biochemical parameters suggested that Ln exposure severely impaired the functions of liver, kidney, and myocardium in mice. These findings suggested that long-term exposure to Ln resulted in histopathological changes of liver, kidney, and heart, and their function damages. Therefore, we thought that long-term application of the products containing Ln on human should be cautious. Jie Cheng, Na Li, Jingwei Cai, and Zhe Cheng contributed equally to this work. This work was supported by a project funded by the Priority Academic Program Development of Jiangsu Higher Education Institutions, the National Natural Science Foundation of China (grant no. 30901218), the “Chun-Tsung scholar” Foundation of Soochow University, and the New Ideas Foundation of Student of Soochow University (grant no. 57315927).